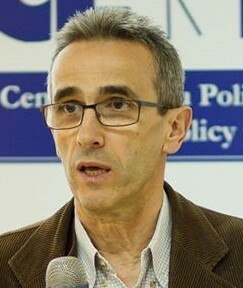 Mihai Lisetchi, a senior fellow in philanthropy with Johns Hopkins University, Institute for Policy Studies (Baltimore, USA), has an extensive experience in the development of nongovernmental organizations, their management and governance, and in participatory democracy, with background in consultative approaches to NGO impact and community integration. He acts as a consultant and trainer. He is founder of the Agency for the Information and Development of NGOs (AID-ONG), presently acting as Executive Director and consultant. The Agency aims to increase the capacity of the NGOs to solve community problems. With a PhD thesis on social innovation in the management of the social enterprise, he is involved in the study and research of the social entrepreneurship, social enterprise, social economy and social innovation concepts and practice.